What it's like to be childless on Mothers Day. Life just got in the way. Walking past a schoolyard at pick-up time, noticing the little hands entwined in the safety of a mother’s grip. A friend sending me a text cancelling lunch as her five-year-old is home sick from childcare. My own mother wistfully telling me that she wishes she could put all my dreams in a box and give them to me. Although somewhat unrelated, they all represent something I don’t understand: a mother’s love. They beg the question – what does it feel like? What is it like to feel your child’s hand in your palm, to nurse a sick baby, or to love someone so much that your dreams revolve around them. I can’t answer those questions. I don’t know what it feels like because I’ve never experienced motherhood. This wasn’t the plan. I’d always intended to have children. Two to be exact. One at 25, and the second at 28. Over the years that 25 became 35 and the 28 turned into 38, but the plan was always in tact. But then, as is the case for so many of us, life stepped in the way of my plans. At first I found myself in a succession of unsuccessful relationships, and then in the middle of my peak dating years (just when my selection of men was improving) I got struck down by an illness. For the next seven years, dating and motherhood became secondary to mere survival. They became things ‘other people did’ – they didn’t even warrant space in my life. Initially when I got better I thought I was over that phase; over motherhood. But its slowly been creeping its way back into my thoughts and life. Do we as women ever get over the desire to have children, even when we may have accepted its improbability? I see it in the eyes of talented and beautiful women I’ve questioned about whether they have a child, or wanted one if they didn’t. There is a look in their eyes, perhaps only recognisable by another childless woman. Their eyes may glaze over, a tear could form, or they may seem empty for a moment. We have this womb, this space within us that was made to carry and bare a new human form. The process of conception and birth is truly miraculous. To be a part of that, to continue the cycle of life, is inherent to a woman’s body. How do we deal with not fulfilling our body’s legacy? I appreciate some women have deliberately chosen not to have children and are OK with that. But I’m more regularly coming into contact with those whom the choice they feel they had little conscious input in to. I am currently writing a book about my illness. I went through a stage where I had convinced myself that my book would be ‘my baby’. It would be my creation: my ‘replacement child’. I was stuck in a writers block for so long and didn’t know why. The content for the book only began to flow when I let go of this ‘substitution plan’ and realised that even though my book was going to be my creation, it wasn’t the same as giving birth to your own flesh and blood. I feel that I will never replace that void. It is irreplaceable. That doesn’t mean that I can’t fill my life up with other amazing experiences and deeply love another person, but I no longer believe that void in the womb is fillable. Having a child is still in the realm of possibility for me. After shrinking to a weight of 37 kilograms during my illness, I lost my menstrual cycle, and along with everything else, my ovaries essentially shut down. With my return to health and vitality, I have begun to menstruate and ovulate once more. My body is even forming child bearing hips! At 43 most would say I’m passed my peak. But after seeing a 48-year-old friend of mine naturally conceive and give birth to her third child in five years, I believe a healthy and content body can surprise the best of us. I feel younger and more vibrant than I have in years. Celine Dion fell pregnant with twins aged 42. 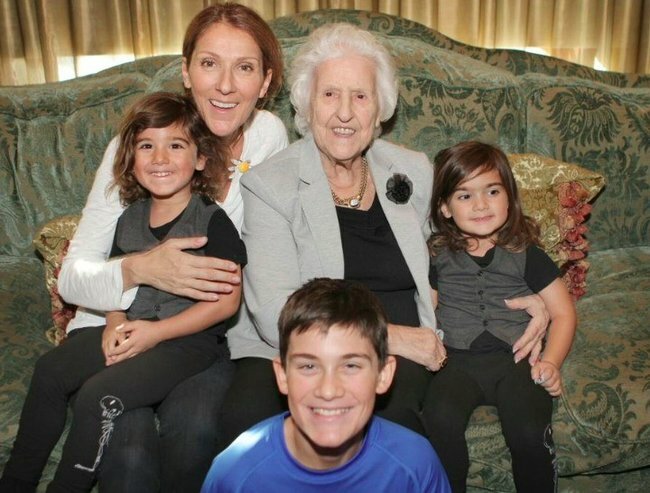 Image via Twitter @celinedion. I used to not want to be an older parent. Mostly because I thought it was cruel for the child. But now I see things differently. I have an innate wisdom and understanding about life that would’ve been lost to me in my 20s, and even my 30s. As one 40-something new parent recently remarked to me: “what you lack in physical stamina you make up for in an acquired confidence and attitude that only life experience can provide you with”. The day I got my period back was one of the most joyous days of my life. I even returned some of my blood to the earth in gratitude and thanks, just like the women did many many moons ago in biblical times. I will never take this for granted again, nor will I ever complain about its existence. 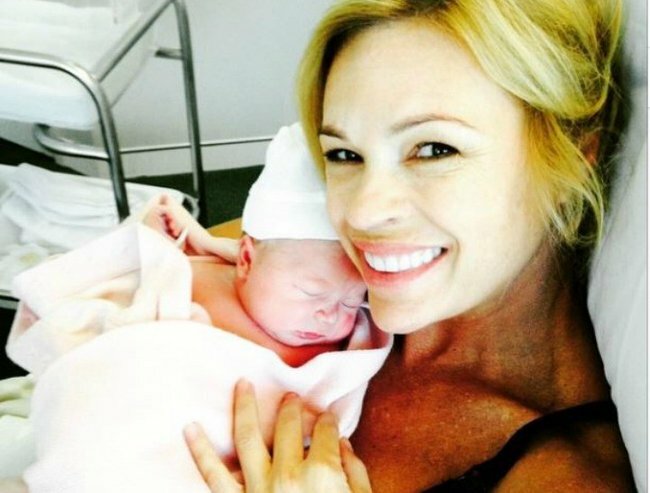 Sonia Kruger became a mother at 48. Image via @davidcampbell73. That old saying is right once again; unless you don’t have it, you don’t realise how much you actually miss it. Although my weight-loss occurred due to my illness, and not due to an eating disorder or dieting, I worry when I see the number of women today preferring to be ‘ripped’, skinny and somewhat pre-pubescent, even if it comes at the expense of their monthly cycle and even worse, their fertility. Re-entering the dating world proves interesting for me. When others in my peer group are making post-kid retirement plans, I’m looking for someone who is willing to potentially go the whole hog with me. Do I look for a younger man? Do I avoid men with kids? One ex-boyfriend was scared off me when I said I wanted to have children, he already had two with two other women and wasn’t ready for another. And then there is the possibility that if you enter a relationship with a man with his own kids and you don’t fall pregnant, how will you cope with a daily reminder of what you don’t have? A fellow childless friend confided in me that she is going through this herself right now. I have endless questions about what will happen if I don’t have children. Who will my family recipes go to? Who will take my treasured grandmothers jewellery? And what about the neatly packed boxes of Golden Books and Enid Blyton stories I’ve had stored in my parent’s garage for years? Mariah Carey had her twins when she was 40. 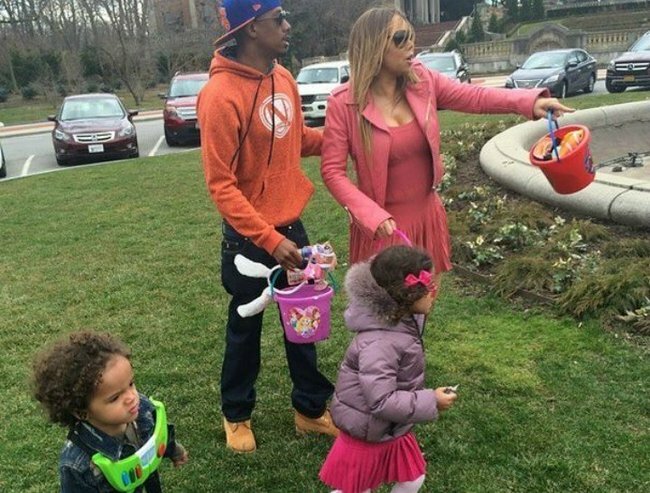 Image via @mariahcarey. The one thing that frightens me above all is what will happen if and when my own parents pass on before me. It is common to hear recent orphans say that when their parents died, they turned their attention to the next generation. Isn’t that just the cycle of life? But what happens when that version of life isn’t your version? I remember thinking this when I was sitting anxiously by the phone waiting for my parents to call from hospital when one of my grandparents was dying. I knew when they got home we’d all be able to give each other a big hug. Who will I hug? There is something about this idea of there being someone else on this planet that either you came from or they came from you. The potential of this not being so for me, sometimes flips me. These questions although not at the forefront of my mind on a day to day basis, do haunt me, especially when faced with one of those random events, or even something like Mother’s Day. Once I attended a personal development workshop when I was the only member in the group that wasn’t a parent. In a particular exercise I was told by the group leader that “it would all make sense when I became a mum”. Apparently, love would take on a whole new dimension. What if that doesn’t happen? What I have accepted is that fate has my path in mind. I won’t push the baby agenda, yet I won’t let it go either. If it happens, it happens. If it doesn’t, I guess a whole bunch of random events will continue to stir me up, and I’ll always wonder what a mother’s love feels like. 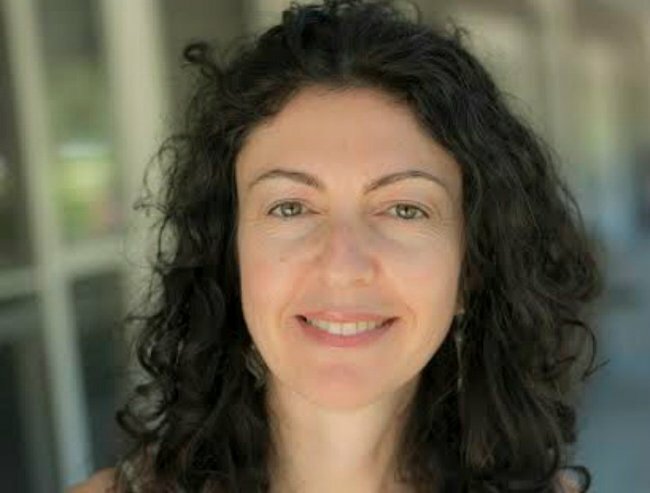 Sharon Sztar is a writer, blogger and presenter based in Byron Bay. With a focus on health and wellness, her insights are based on direct experience in the industry as well as her own personal illness and recovery journey. With a Bachelor of Economics behind her, she also has over fifteen years experience working across marketing and communications in the corporate arena. 60 minutes mother day reunion brings tears to our eyes. Going viral: An apology to all my childless friends.